KATHLEEN STEGALL has a stellar history in dance and fitness to supplement her new passion — leading the Zumba party. She is a national and world champion country dancer, a personal fitness trainer, a ballroom and country dance instructor and a Zumba Fitness instructor. Kathleen is a member in good standing of the Zumba Instructor Network and qualified to teach Basic, Gold, Toning, Aqua Zumba and Zumbatomic (Zumba kids) classes. She is also certified in Zumba Sentao, which combines strength and resistance training with the energy of Zumba dance moves — all centered around a chair. In 2017, Kathleen was also certified in Zumba Strong, a high-intensity exercise program that’s not dance-based. In addition, Kathleen is certified as a personal trainer and group fitness instructor by the Aerobics and Fitness Association of America (AFAA) and the American Council on Exercise® (ACE). A UT graduate, Kathleen has had a long and successful career as an elementary school teacher in the Austin area. She has been an instructor, trainer and clinician for Jacki Sorensen’s Aerobic Dancing. Her interest in fitness started with the running boom in the early ’70s. “I didn’t much like running when I started,” she said, “but I promised myself I’d try it for six weeks. By then, I was hooked.” She has run competitively in numerous events, including seven marathons. In the late ’70s a running buddy introduced her to aerobic dance and within a year, she was certified to teach. In addition to being an instructor, she soon became a trainer and clinician and, as such, established programs all over the world. She did performances with other trainers in many venues including Madison Square Garden. 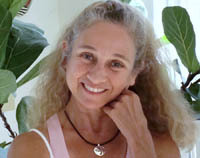 Kathleen began taking partner dance classes in the mid-’90s. She met her future husband and dance partner in class and has been competing worldwide ever since. In 1999 she was the United Country Western Dance Council Newcomer World Champion and has three times been American Country Dance Association National Champion. In January 2010 she won the UCWDC Gold Advanced World Championship with her husband Stewart Edgington. She continues to teach ballroom and country dancing in individual and group lessons.